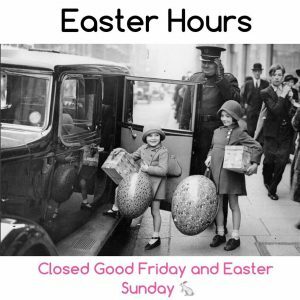 We’ll be open 10-4p all other days, Happy Easter! The Stratford Perth Museum is accepting resumes for the position of Manager, Education and Public Programs. This is a full-time permanent position. The Manager, Education and Public Programs plays a key role in bringing history to life, by researching, developing, planning, implementing and evaluating all education and public programs at the museum. This is a permanent, full-time position. This includes a range of activities such as educational programming, tours, talks, film screenings, performances, special events and day- and week-long camps for children, all designed to further the museum’s objectives and strategies. The Manager ensures that these inspiring programs complement and supplement the exhibit strategy, serve the community, involve a broad range of audiences of all ages, and achieve attendance and revenue targets. The Manager plays an important role in the management team of the museum. Resumes will be accepted up to 5 p.m. (EDT) on Monday, April 29.